Happy Wednesday guys! Can we just take a moment to appreciate it's OCTOBER ALREADY?! Literally, where the F has the time gone?! That being said however, both myself and my wardrobe are totally ready for Autumn/Winter dressing. 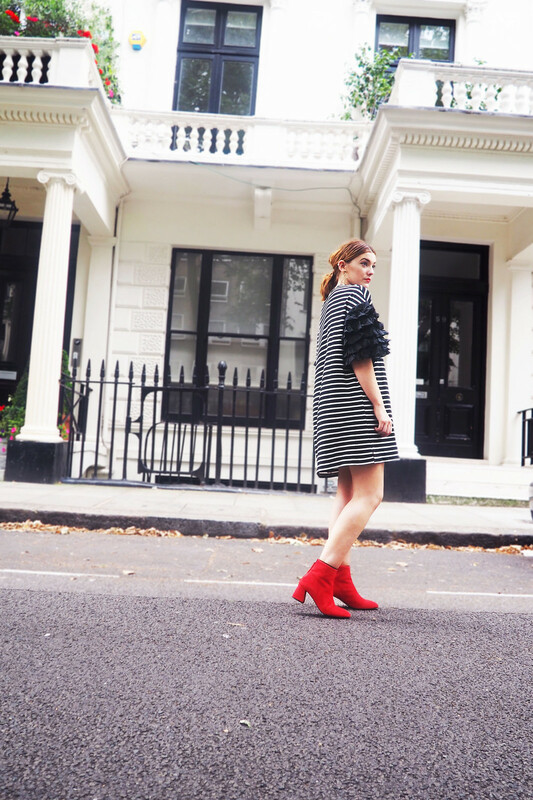 And with that I'm taking on board all of the trends of the season, past and present and mega excited to combine them all into some seriously sassy Autumnal looks. BRING IT ON! 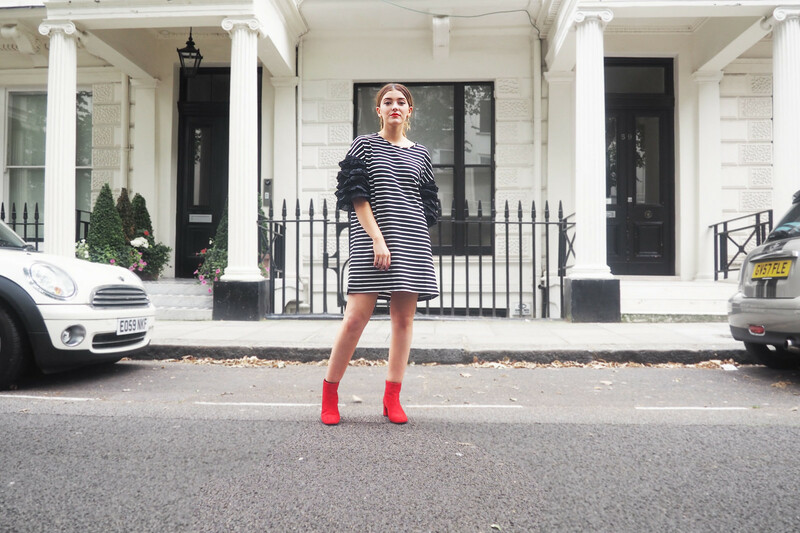 From Prada to Gucci, ruffles have been dominating the catwalks, and have made their way into our beloved high street with ASOS (of course) taking trumps for their downright fabulous collection. One of these being this freakin' awesome dress from a brand called Zacro. Serious points to you guys, I mean LOOKA THOSE SLEEVES! I am sooo in love with this dress. I loved styling it simply throught Summer with a pair of block-colour shoes and my trusty star earrings, but I think this could even look pretty damn amazing come Autumn/Winter, too. I'd go all out with the print and texture clash, combining with some jacquard or velvet boots, a long-slevee mesh top underneath, some heart print tights and maybe a pom-pom keyring to finish off the look, a-la 'Granny Chic'. If you've seen my last past you'll know what I mean. This autumn is the time to go absolutely bonkers and throw all of your craziest pieces together for one fabulous statement look. And if this dress isn't statement enough already, I don't know what is. This is such a fun take on ruffles! I seriously adore this look. The dress is flawless, and the boots compliment it perfectly! I totally agree, such an easy throw-on piece, too. Thank you so much lovely! yess these frills are so nice, espically on the sleeves makes it a bit differnt ! And those shoes too, sooo yummy! Haha! Thank you - the shoes are unbelievably comfy too, always a plus! The sleeves on that dress are fricking amazing! You look fab girl! Ain't it sassy? You're too sweet - thanks so much honey!